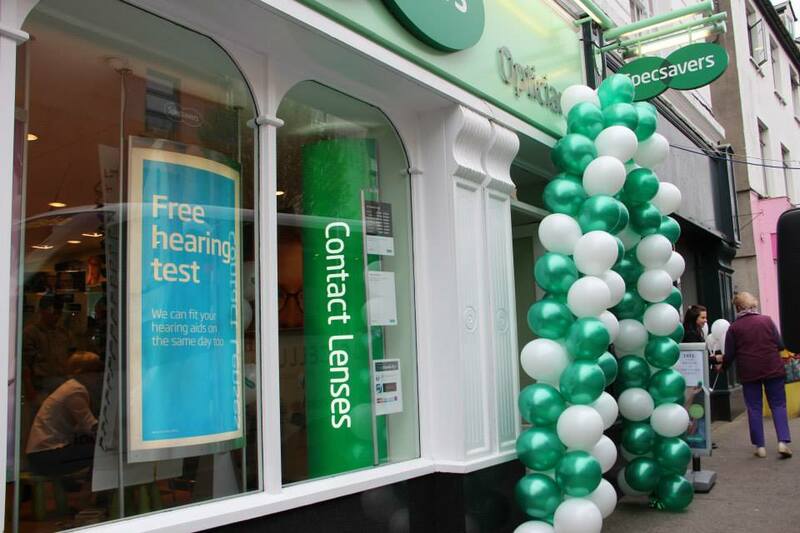 Specsavers Ballina opened in April 2014. 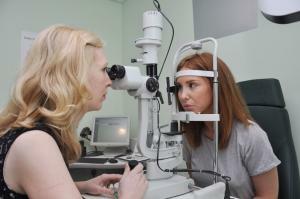 It is run and owned by the Ophthalmic Director Eva Roache and Retail Director Kelley McGrath. 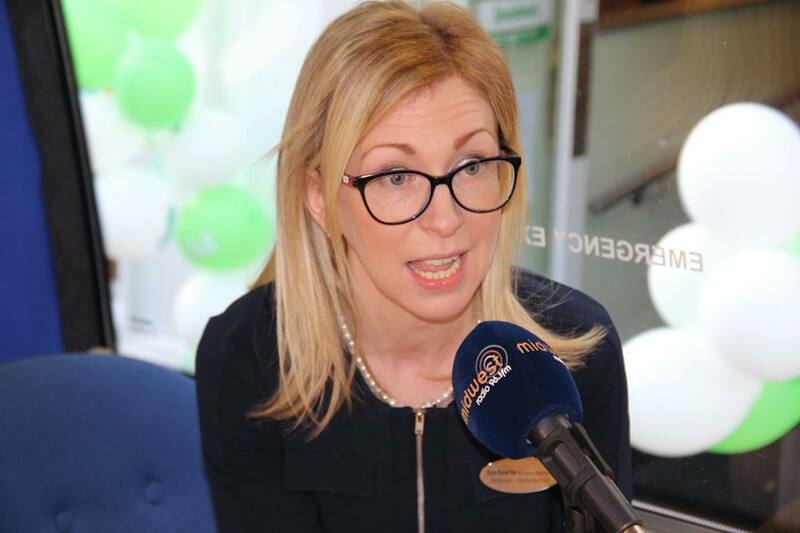 Since opening Specsavers Ballina has proudly and passionately served the local community, offering customers unparalleled service and value for money. 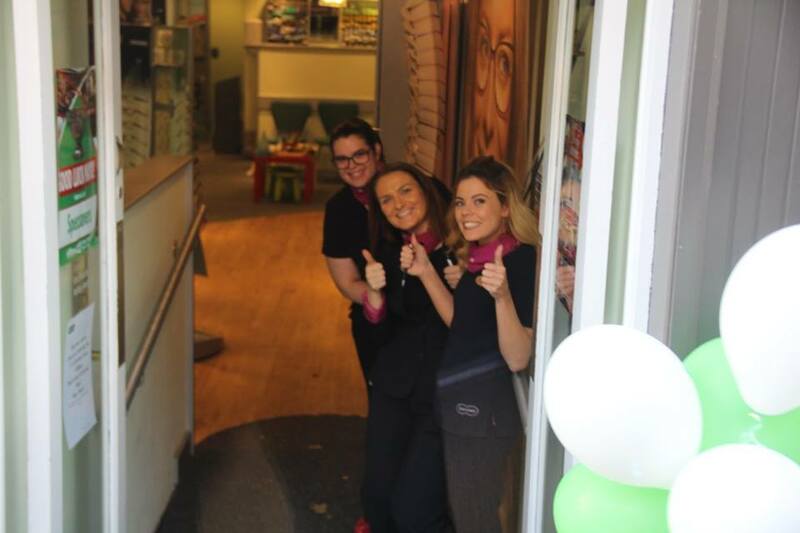 The team at Specsavers Ballina are highly trained healthcare professionals, who place a strong emphasis on continued professional development, to ensure that customers receive the best possible care and advice. From routine eye examinations to contact lens fittings, Specsavers Ballina caters for all aspects of professional eye care. Committed to bringing the latest equipment to its customers, Specsavers Ballina invests in sophisticated optical technology, boasting a Fundus Camera for early detection of diseases and recently introduced Digital Precision Eyecare, a cutting edge new way of selecting and fitting customers’ glasses using imaging software on tablet devices. Specsavers Ballina also offers a range of multifocal contact lenses, so those who need glasses for both reading and distance correction can take a break from their spectacles for social and sporting occasions. The store specialises in hearing with an on-site hearing centre, complete with a soundproof room to ensure the most accurate results when conducting hearing tests. 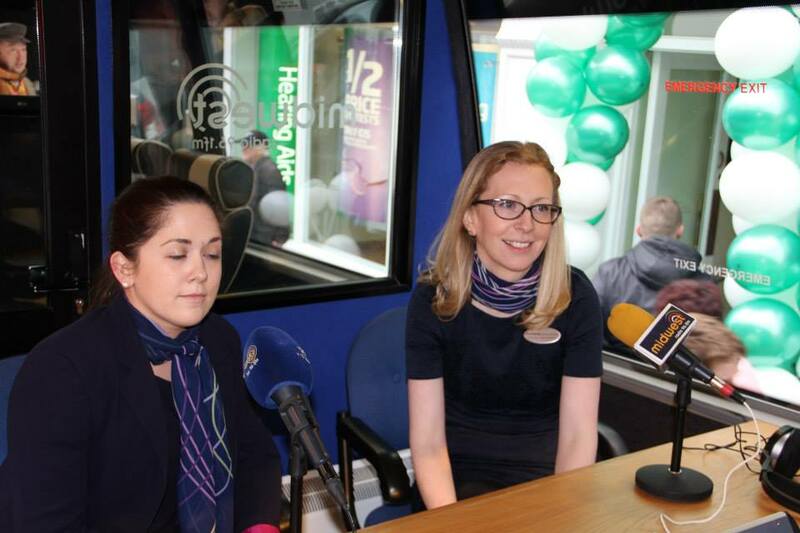 The store tests six days a week, managed by highly trained audiologist Darragh McGowan. 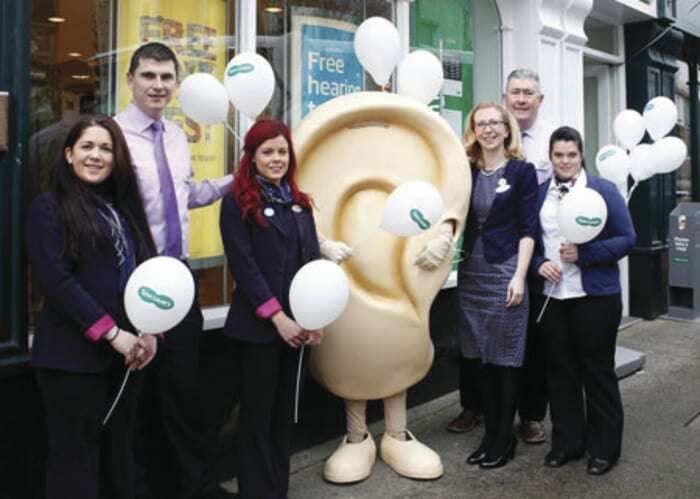 The store provides free three-minute hearing screenings, with impartial advice, fittings and aftercare. There’s no need to book an appointment and the screener lets customers know whether they would benefit from a full hearing test, which takes about an hour. You can be sure to find the glasses that are just right for you – in store we have over 1000 glasses and a further 800 styles to view online. 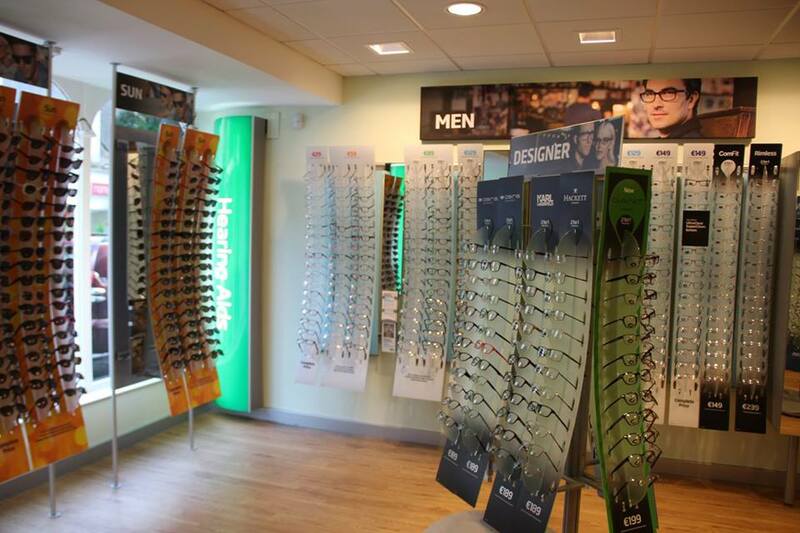 In Specsavers We’re always sourcing the latest materials and following fashions from around the world to bring you an unequalled choice – the latest fashions, designer labels, materials, colours and frame shapes. We have recently launched a Kylie Minogue petite range and we will be launching Diesel frames range in June. Specsavers also work closely with Stylist Darren Kennedy who has chosen a high fashion selection of styles for our customers. We also can provide a competitive corporate package to all business and we recently launched Healthcall. 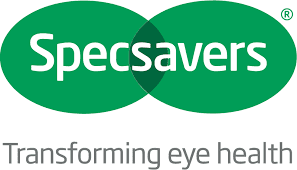 Specsavers Healthcall is our home visit eyecare service. 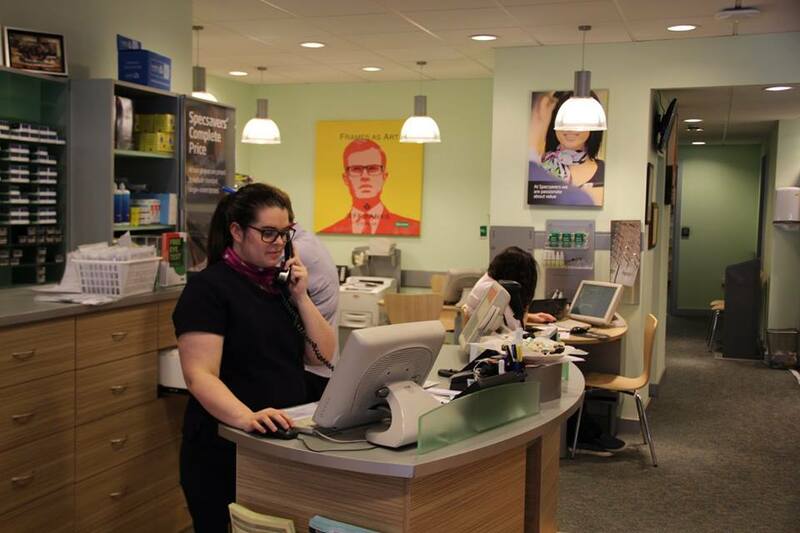 We provide eye care for anyone who is unable to attend one of our stores because of illness, disability or age. 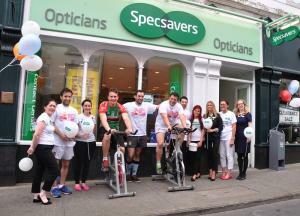 Specsavers Ballina is a local community optician and hearing centre, where supporting local clubs and charities is a key part of the store’s culture. The store fundraises throughout the year for Our Lady’s Children’s Hopsital, Crumlin through different initiatives and fundraising events. Could your next eye test be free? 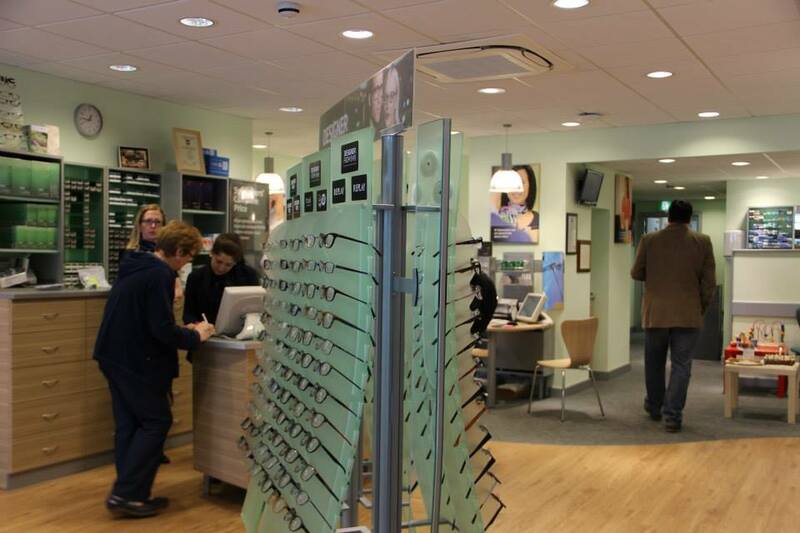 More people than ever are now entitled to free eye tests – are you one of them? Eye tests are free if you are entitled to PRSI treatment benefit or have a Medical Card. That’s the same whether you’re employed or self-employed. Changes in legislation mean that from 27 March 2017 self-employed workers are also eligible for a free eye test, funded by PRSI. What’s more, if you’re over 40 or your optician recommends it, your eye test will include digital retinal photography at no extra charge. Call in, make an appointment and we will do all the paper work for you. 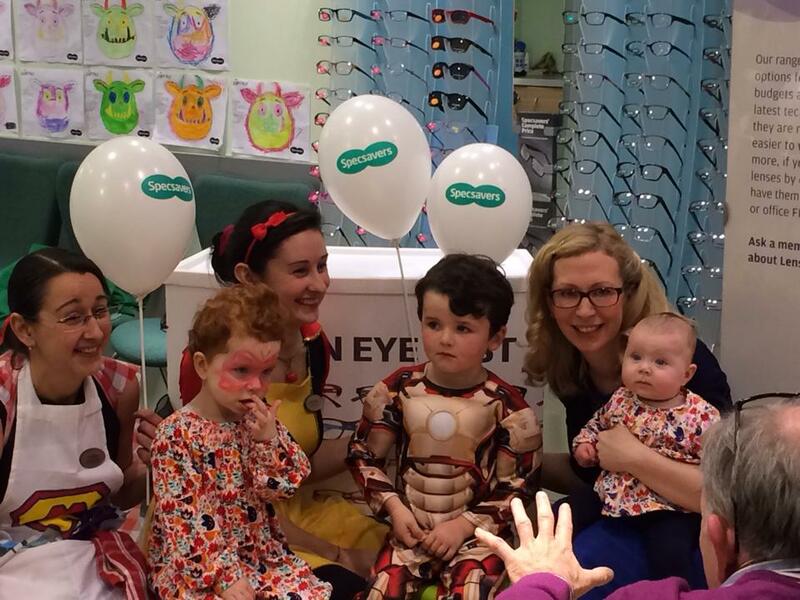 As a Chamber member if you are not able to avail of this entitlement, we will give you a free eye test that normally costs €25. Quote Ballina Chamber when you make an appointment. This offer Expires on 31st August 2017.